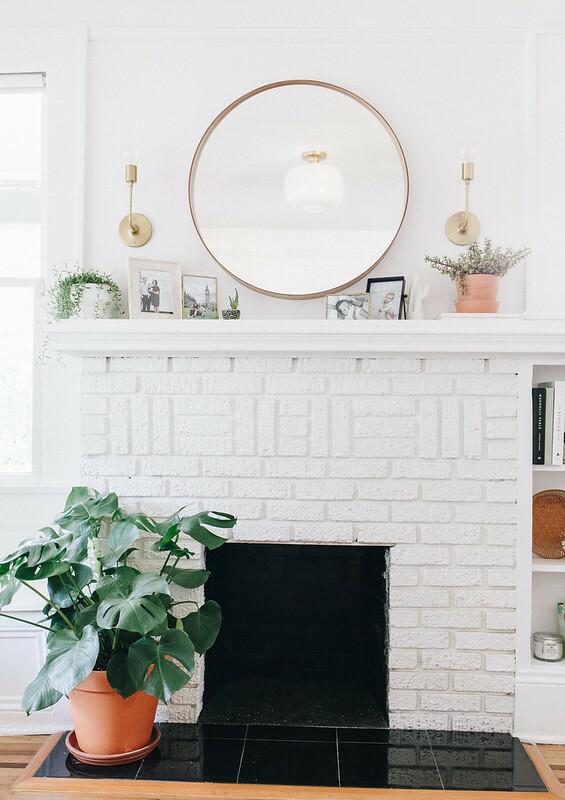 So excited to be showing you our living room before + after! We have been in our new home for over a month now, and even thought there are still big things to tackle (*cough* kitchen! ), it truly feels like a home to us! 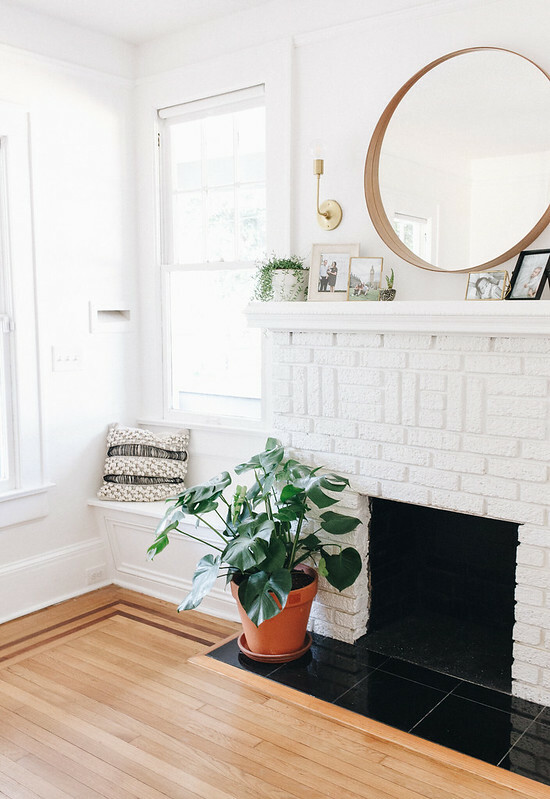 We love our 1920s home and we love our neighborhood, quick walks to the coffee shop and being so close to parks and our favorite restaurants. I love that I am surrounded by trees and greenery, in the morning I just stare out of the window and feel such a peace in this house. One of the challenges to moving to this new space was downsizing and moving from a larger home to a smaller not open-concept home. I know open concept is what mostly everyone wants in their homes, but it was what I hated in my last house. I love cozy, smaller, each room divided kind of homes, call me crazy! We had to get rid of almost all of our furniture, and I was ok with that! Start new and fresh. We wanted to start working first on our living room, since is the first thing you walk into when you open the door. It is truly one of my favorite rooms. 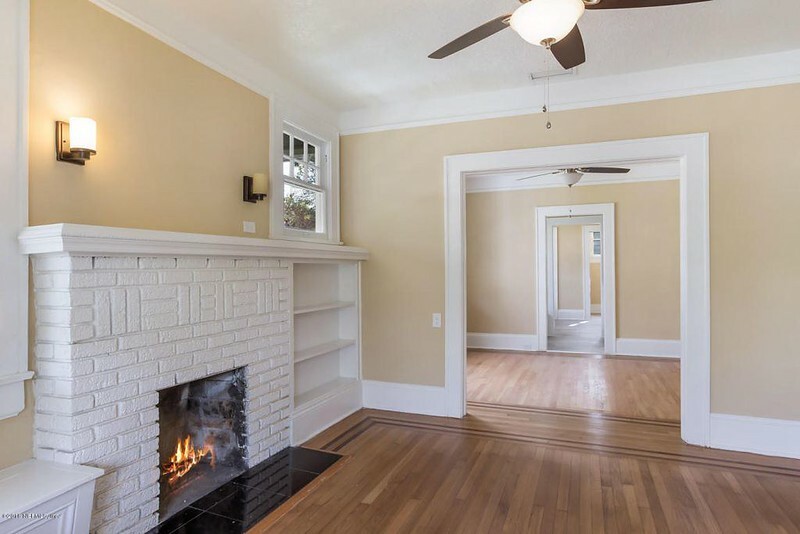 White brick fireplace, with built-in shelves on one side and a built-in bench. So much character! And original flooring, none the least. 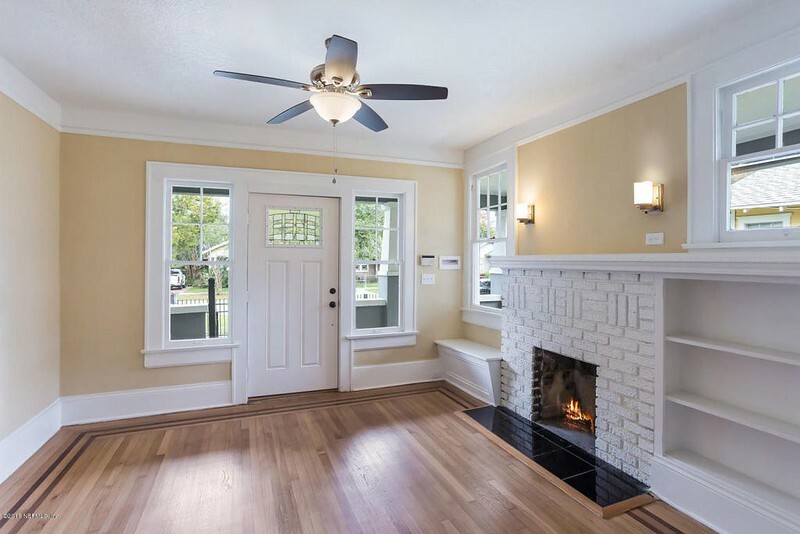 We wanted our home interior style to be warm and modern vintage to match this lovely home. I also have a vision of plants every where in our home, so lets pray I don’t kill them! One of our favorite things we added to our living room is something we actually repurposed, our old IKEA couch. I don’t know if you remember my gray couches from my old living room, but this is it! 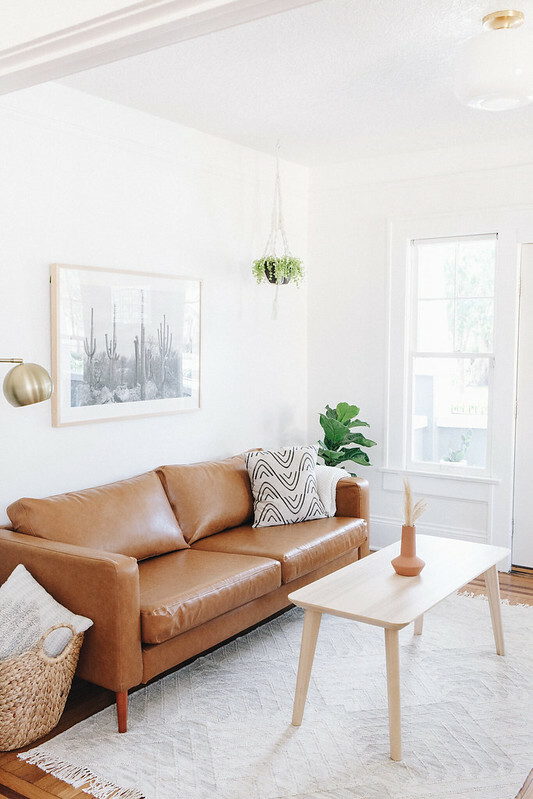 Thanks to Comfort Works Ikea sofa covers, we got exactly the couch of our dreams. 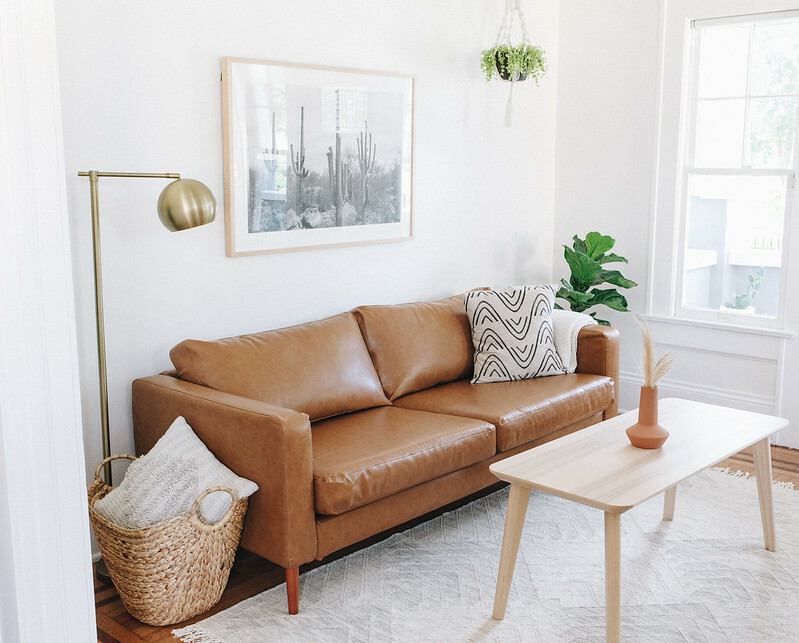 We always wanted a leather couch, but felt that at the stage of our life we are in we didn’t want to invest that chunk of money right now. At the end we got exactly what we wanted and more. It was really easy to slip into our old couch and the quality is great, it’s like a whole new sofa! 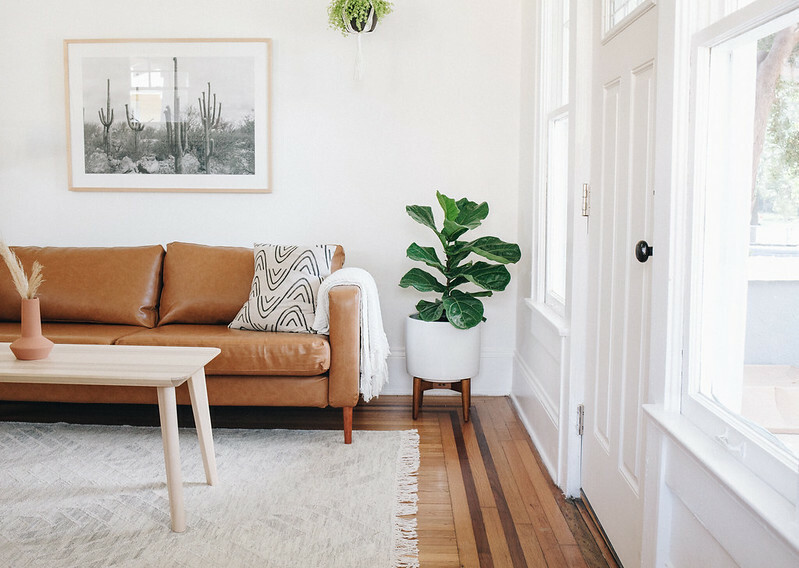 We love our leather replacement slipcovers so much, and it came with the legs to change the overall look of the couch and give it a more mid-century look. 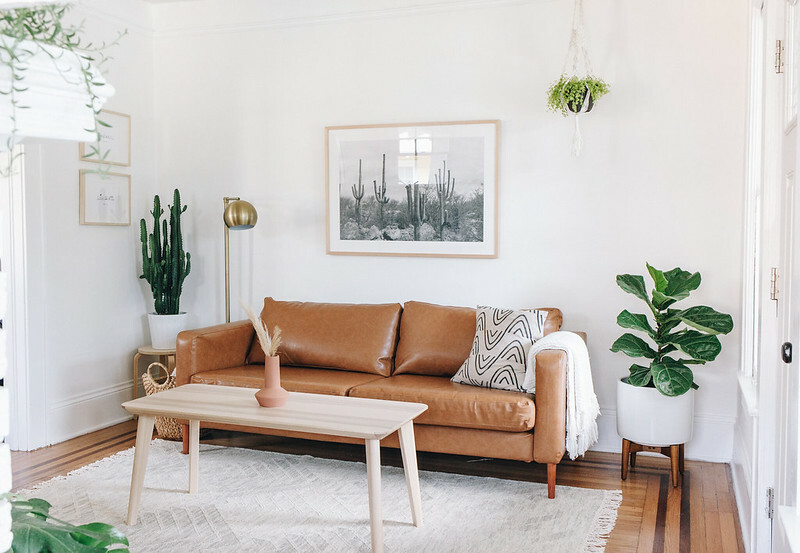 I love that there are so many options and colors for so many styles of sofas, great idea for a room refresh or change the covers of that old dirty couch. I highly recommend! 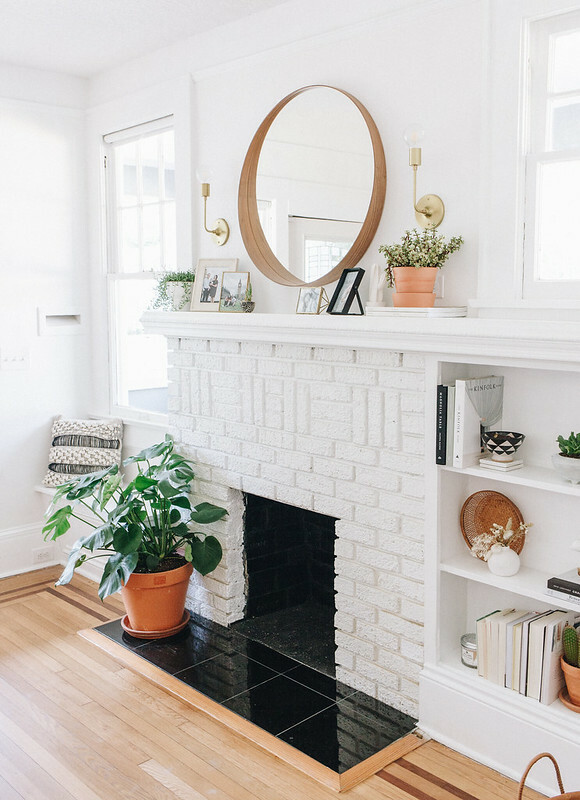 A few tips I had in mind when styling our new living room that really helped me and it can help you! Repurpose! I know the feeling we all have that we want everything new when we move to a new place. But there are ways to repurpose that it will feel like that pieces is brand new to the space. First, my couch of course! Ikea sofa covers from Comfort Works can make your old couch brand new again. My standing lamp was in our old living room but as part of a reading chair I rarely used. 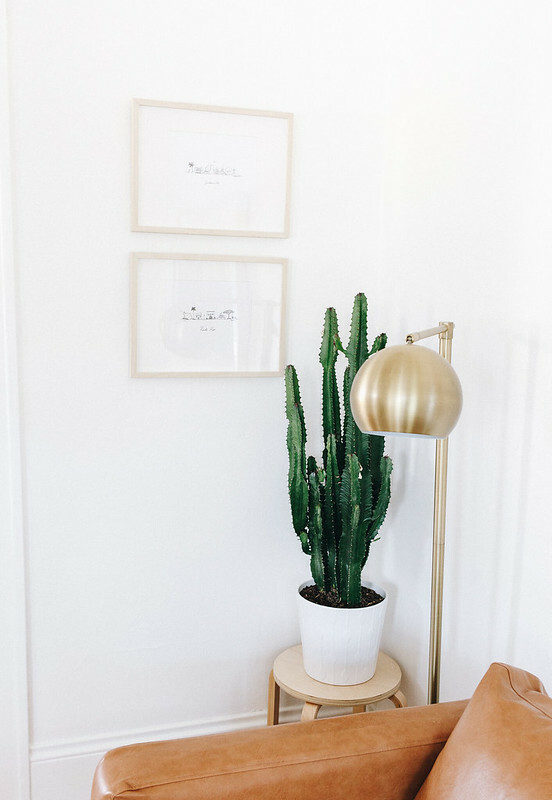 The cactus print was in my old home office, we sent it to Framebridge for a new a beautiful quality frame and is like a new piece of art! So many things in my shelves have been with me for years, but I just styled them different. Another way to repurpose is painting a piece of furniture to a different color or stain and changing picture frames to the style of your new space. Plants! I know this can be scary, believe me! In my opinion, plants give a room so much life. If you are too scared of real plants, you can get fake ones that look exactly like the real ones. Less work and worry for sure. I got all mine natural because I really want to work on this new hobby of keeping plants alive, lol. Personal memories. Add personal memories to your living room. I really wanted special normal pictures (that were not curated for Instagram) on our mantle. Atticus one day old picture is my favorite picture in the whole world and I want to see it every day. The picture of me and Justin in Europe is my second favorite, it marks one of my dreams come true and me being pregnant with Atticus at the same time. 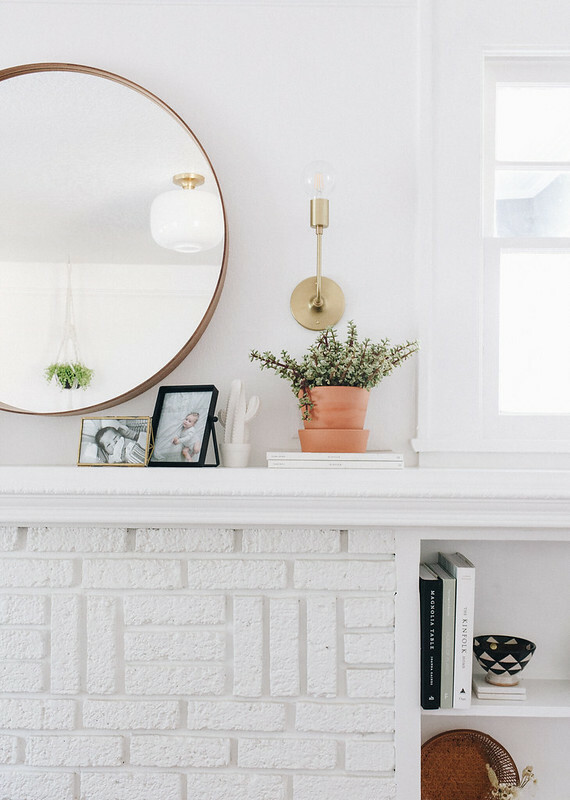 You can add other memories, not in the form of pictures, like a vintage pieces from your grandmother, or something you brought back from that great trip you took. Less is best. Keep it minimal. You don’t want to feel the space is too crowded! I was struggling with wanting to go out and keep buying things to add to this space, but I realize I had so much already. 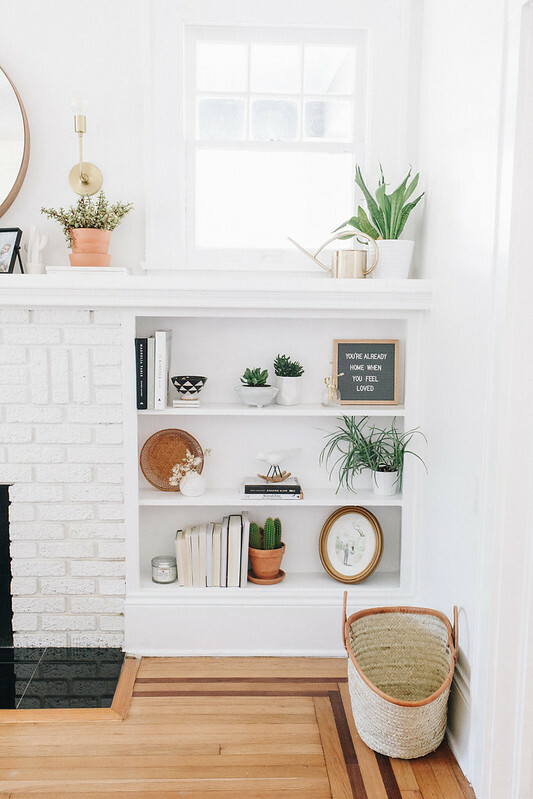 Books are great to decorate and make it look effortless. Blank spaces are ok! Your eye needs a break when entering the room. And making things simple and less will help with new additions in the future. Hope you enjoyed this before and after and much as I did! My goal is to show an before and after of all of our rooms as we slowly go through our entire house, doing big and small projects. My guess is the Dining Room and Atticus room will be next! If you want to see something in specific in a blog post, let me know in the comments! 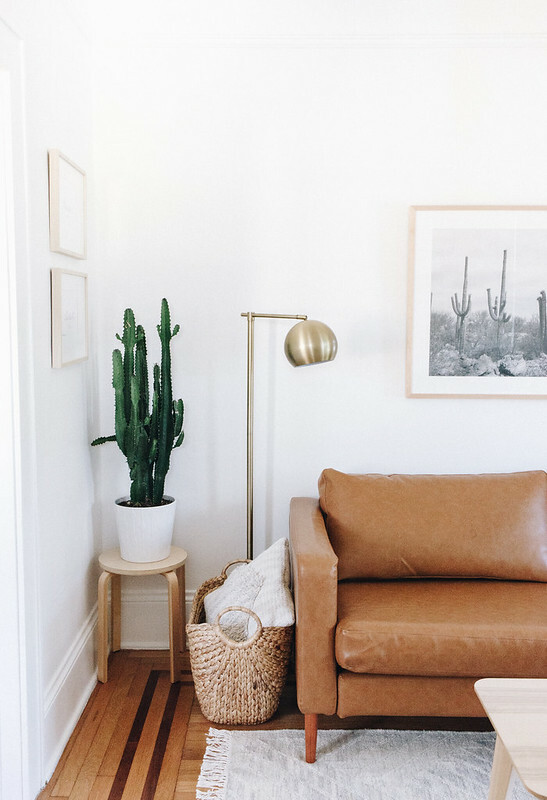 Cactus Print– Fine Life Co.